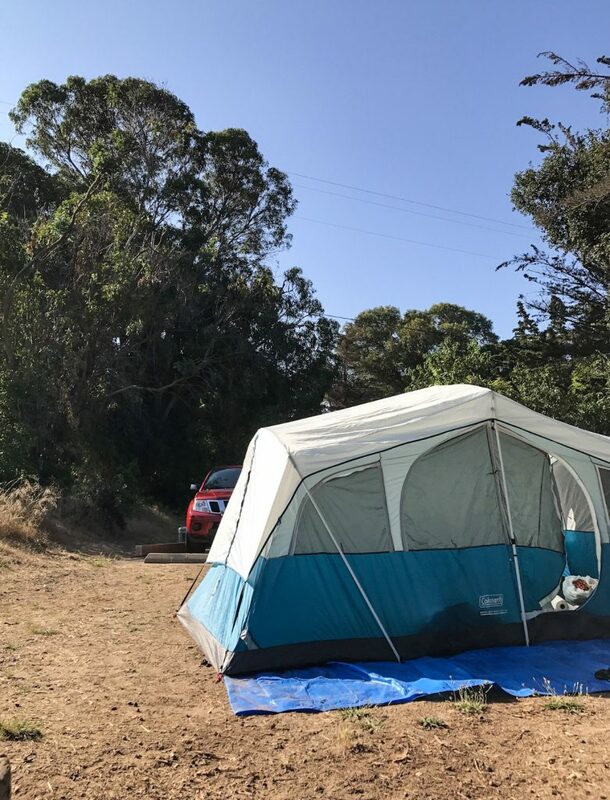 An overview of El Capitan State Beach camping in Goleta, California with campsite photos, tips and things to do while beach camping. El Capitan State Beach is easily one of my favorite beach camping locations in California. 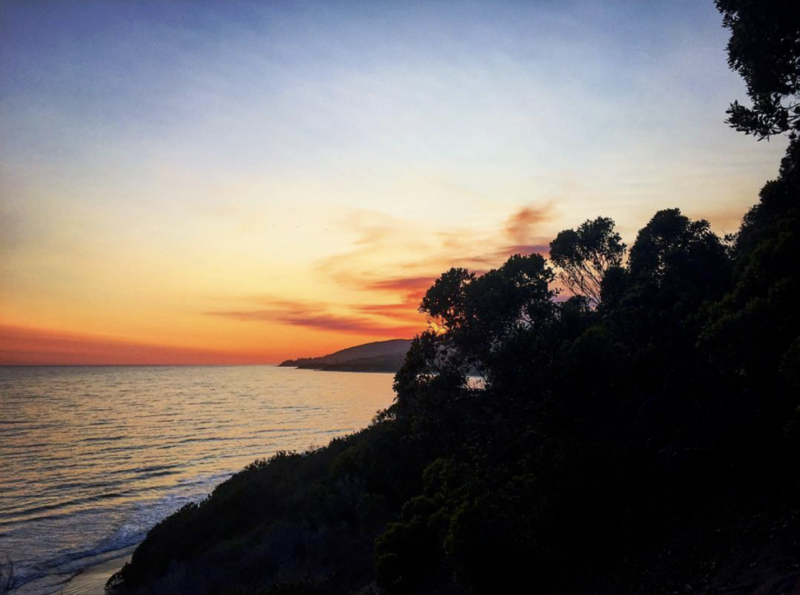 What’s not to love about a beautiful setting sun over the bluffs of a California beach after enjoying a day of surfing, hiking, biking or tanning? 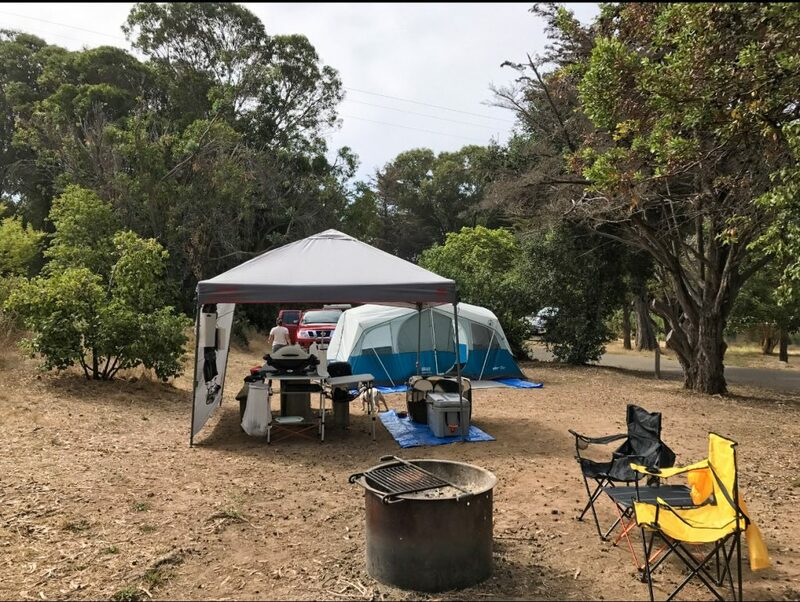 The El Capitan State Beach Campground is a California State Park located about 20 miles west of Downtown Santa Barbara, in the city of Goleta. This campground is a relatively large one, with 142 campsites for tents, trailers and motor homes up to 42 feet long. Reservations must be made 6 months in advance through www.reservecalifornia.com. This place is almost impossible to book during the busy summer months, so make sure you know in advance the time you plan to book, and be ready the minute reservations open at 8am. Check-in is 2pm and check out is 12pm. A popular surfing spot for experienced surfers especially on a good swell day. There are no bears but you will get a visit from the local skunks and raccoons looking for food, so don’t leave anything out if you don’t want Pepe Le Pew to eat your s’mores. 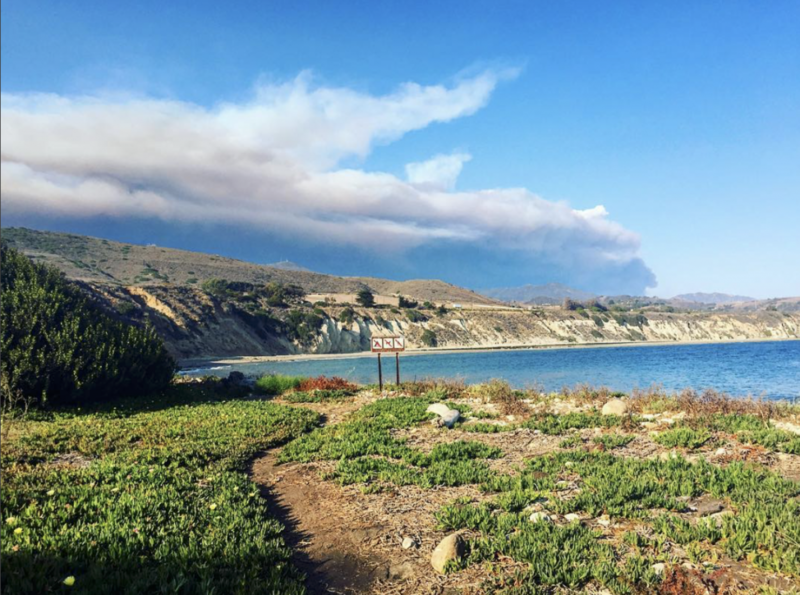 If you’re not particularly fond of the beach, there’s plenty more to do near El Capitan. The Canyon is a nice walk out of the El Capitan campgrounds, across the street away from the beach. You can visit the Canyon Market and Deli where you can buy souvenirs and good food. You can also see the “glamping” site rentals they offer. 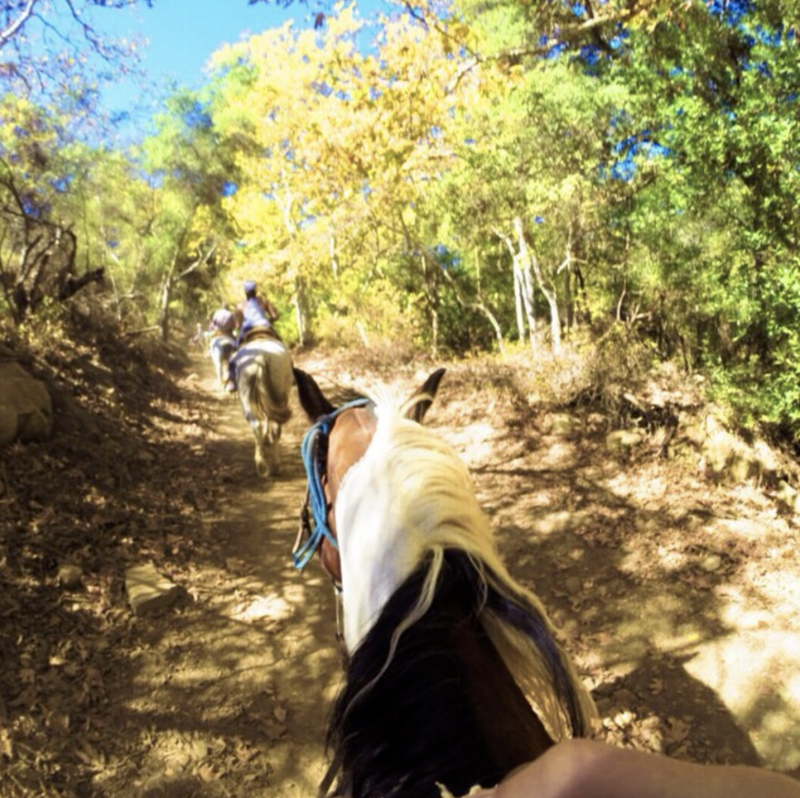 Circle Bar B is an awesome ranch that offers scenic horseback riding, spa services, homestyle dining and much more. I highly recommend this place, especially for the glampers. They have tons of horses and the rides range from 1 1/2 to 4 hours. If you feel like going wine tasting, Sunstone Vineyards and Winery in Santa Ynez has tasting flights that you can enjoy in their Provençal French courtyards, stone barrel-aging caves or picnic ground. Located off Highway 101 North of the Gaviota Tunnel, Nojoqui Falls Park offers a short hike to an eighty foot waterfall. If you can manage to fit your clubs in the car, make sure you visit Sandpiper Golf Course, a scenic golf course along the coastline, located in Santa Barbara and just over 7 miles from camp. Draughtsmen Aleworks is a craft brewery located in in Goleta, about 9 miles away from the El Capitan campgrounds. Cheers! Some sites have ocean views, but for those that don’t, a quick walk to the bluffs and you’ll be rewarded with a beautiful coastline view-don’t miss it at sunset. Sites are sizable with plenty of space between you and your camp neighbors, allowing up to a maximum 8 people (including children). A quick 2-3 minute walk where you’ll find a stairway to access the beach. Pro Tip: Get your beach spots early on the weekends, the beach gets a bit crowded in the summer since they also allow daily recreational use with a $10 access fee. Each campsite has a fire ring and picnic table, and trees covering the majority of the campsites, which make it really comfortable in the summer. 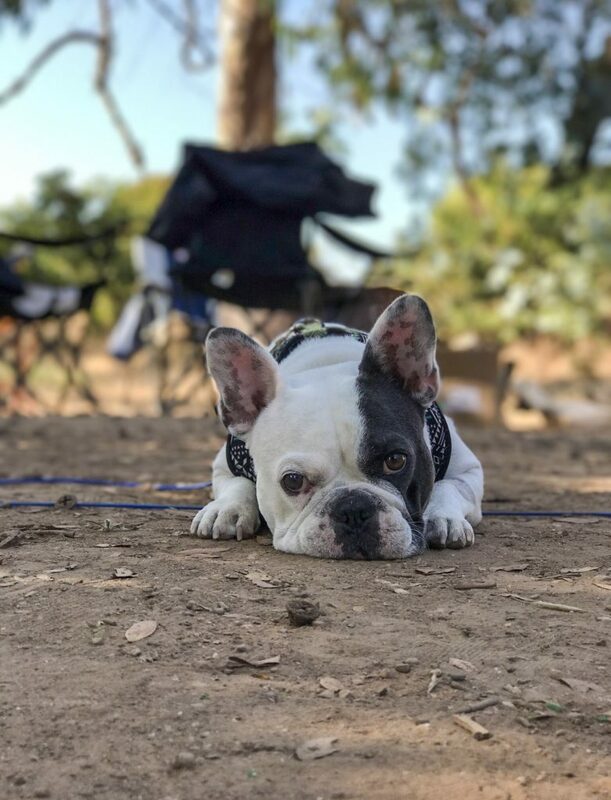 The campground is kid and dog-friendly, but the fur kids are not allowed on the beach. A convenience store is located at the beach and is stocked with camp essentials (in case you forgot something) as well as beach toys and ice cream. Only 3 cars are allowed per campsite but there is an overflow parking lot for additional vehicles. Most loops allow trailers, but be sure to reserve in the designated lots if you have an RV. Hookups available, no dumping site at this campground. Scenic biking and walking trail at the north end of the park. It’s approximately 5.5 miles round trip if you ride or walk to Refugio State Beach. There’s a sign halfway through that says the “trail is closed” so make sure you ignore that. Careful-it gets narrow on one part of the trail. If you take the trails on the south side of the beach, you’ll be on a beautiful (but short) nature walk. Self explanatory, but a huge downside for those of us who love to bring our dogs camping. 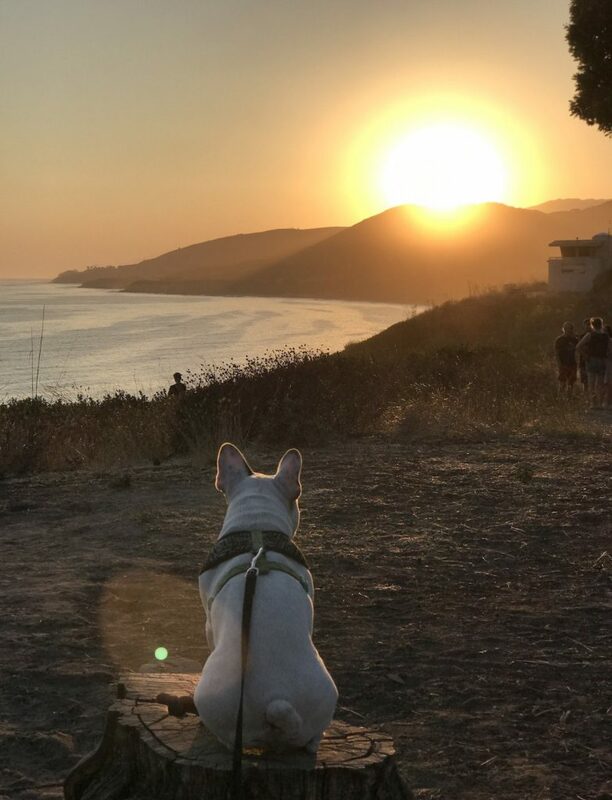 Pro Tip: If you want to take your dog to a beach nearby, Arroyo Burro Beach Park is nearby and dog-friendly. RV Campers have reported highway noise since they are located in a site loop near the 101 freeway. Disclaimer: This may interrupt the sound of the waves crashing. You’ll notice a bunch of tar on the bottom of your feet when you’re done with beach. Pro Tip: Bring mayo or cooking oil to get it off your feet. My personal favorite? Gasoline! Works like a charm. Bathrooms aren’t the prettiest, but they do have flushing toilets and running water. Showers are coin operated-make sure to bring plenty of quarters for your trip. A quarter will get you 2 minutes of shower use. If there’s a line for the showers, this is nice because it doesn’t allow forcampers to take too much time. If they are conserving water like this past year with the nasty drought, they will cut off the showers at this camp site. If you’re planning on snagging a spot at the beach, you will have to cross about 10-15 feet of rocks to get to the sand. If it’s high tide, your space on the sand is limited. 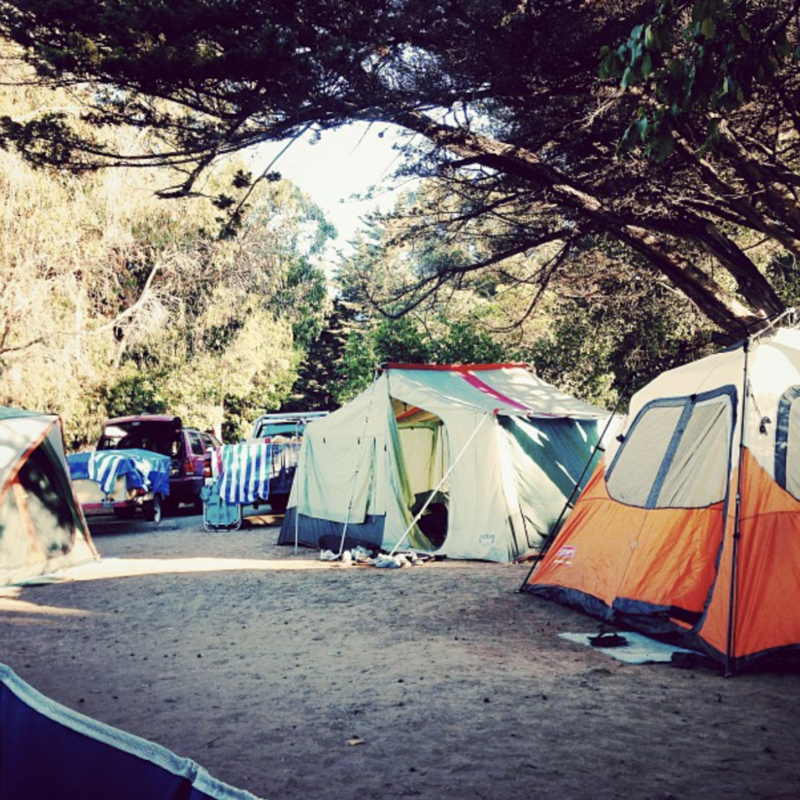 El Capitan State Beach in Goleta is a great Southern California beach camping spot and I’d definitely recommend it. With a nice campground and plenty to do, it’s a good camp spot for tent camping, RV camping and camping for the whole family.